That slow website is hurting your sales! Studies show that a one-second delay in load time leads to a 7% drop in lead conversions, 11% decline in page views, and 16% reduction in customer satisfaction. People want a website to load quickly, especially on their phones. For an online store that makes $10,000 daily, a one-second delay could cost you well over $250,000 in sales yearly. That’s unacceptable whichever way you look at it. But, it’s not just loss of sales that make it crucial to work on your site speed. Here are 4 additional reasons why a fast site is good for business. Thanks to the smartphone, the human attention span has shrunk to just 8 seconds from 12 seconds in 2000. Simply put, if your site takes more than four seconds to load, that’s half your traffic gone! Basic psychology tells us that humans are more at ease when they feel in control of a situation. Forcing people to wait for your site to load leads to a perceived loss of control. That loss can mean they click backward and go somewhere else! Forrester Research found that 56% of bankers and brokers expect a web page to load within two seconds. Anything higher than that often leads to negative user experience and negative feedback. Did you know that a slow site can actually hurt your brand reputation? 32% of consumers abandon a site after waiting for two to three seconds for a page to load. Compared to sites that take one second or less to load, sites that take more than three seconds have 50-135% higher bounce rates. With these statistics in mind, you need to improve your load times. Check your current speeds first to know how much room you have for improvement. Here are my top five tools you can use for a website speed test. Perhaps the most popular website speed testing tool on earth, tools.Pingdom.com is best known for its ease of use and detailed tests. You can filter resources by load order, file size, and page size. Once the test is completed, your site will be rated out of a possible 100. WebPageTest was also developed by a Google engineer and is an open source project. A major advantage of the tool is that it even allows you to perform multi-step transaction tests. At the end of the test, you get a detailed report with plenty of information on improvements that can be made on your site. If you’re looking for a simple website speed testing tool, this is the one. GTmetrix provides easy-to-digest yet comprehensive site analysis and even gives tips from Google PageInsights and YSlow, making it a one-stop-shop for all your site speed optimization needs. With KeyCDN, you can select from 14 different locations around the world to determine the download time of your site from that physical location. You’ll be glad to know that unlike other tools, KeyCDN also supports HTTP/2. Developed by Google, PageSpeed Insights runs two separate tests; a speed test of the overall site and the load time of the above-the-fold content. 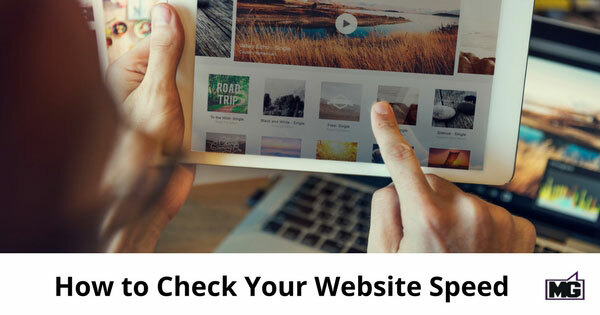 You need 85 out of 100 points for each test for your site to be categorized as fast enough. At this time, this is the most unreliable speed test. It will probably become more reliable as Google improves this feature. Don’t let slow load times slow your growth. Check your site speed today, make the necessary adjustments, and watch as your conversions skyrocket.